We all know how coffee has become a quintessential staple to anyone’s day. It perks the senses and jolts the body to help you conquer the day. In all honesty, we would much rather order our drink at our local coffee shop because of convenience and time. However, if you decided you want to save some money and still get the best-tasting coffee, then consider buying the best single serve coffee maker available. Single serve coffee makers are ideal if you prefer to drink a fresh cup every single time. Who wouldn’t? 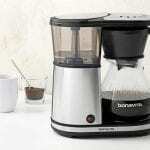 There are many different single cup coffee makers available in the market, with varying features and programming options. And with its diversity comes the difference in the taste of the end product; even if you use the same coffee beans. 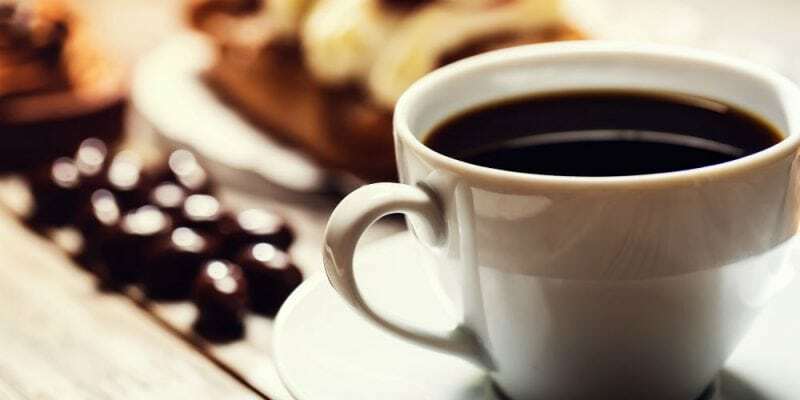 This gave us the perception that it is important to get acquainted with the different coffee maker types so that you will find the best one that will agree with your palate. As you already know, there are so many options available to you when it comes to coffee makers. And there are three common types of it, namely ground coffee percolators, coffee pod machines and automatic coffee makers. Each one has distinct features that may or may not suit your preference. Let’s find out the differences. 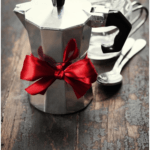 Ground coffee percolators is an old-school method of making coffee but still a popular choice for many. As its name implies, you grind the coffee beans and with the right amount of water, bring them to boil using a stove. 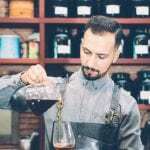 The problem with this type of coffee maker is that, if you are not familiar with the right timings and measurement to make the perfect cup of java, the finished output can taste burnt or flavorless. Sounds like pretty tedious work, right? Luckily, if you have the extra money to spend, there are also electric coffee percolators which can make the job a bit easier. You just plug it in, and it will brew the coffee beans itself without the need of a stove. However, this still requires time as you have to watch over it to ensure that your coffee will not end up burnt or tasteless. 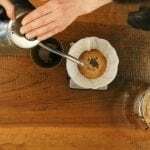 This can be an awesome experience if you want to slow down and savor coffee making. 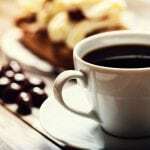 Pod coffee makers are an economical choice for coffee lovers and is known to many as the best single serve coffee maker. This type of coffee pods machine underwent various testing to ensure that each cup produced has the exact amount of coffee and has the right taste and texture. As its name also implies, it makes use of coffee pods which come in many different flavors. Insert one into the machine, press a button and voila! You get a cup of coffee prepared with the standards. Many choose to go with the coffee pods route because it is easy to configure and use. Aside from the fact that you also have the flexibility and freedom to choose the flavor of coffee pod for your coffee maker. If you want to deviate from the usual, you can easily get a cup of macchiato instead of your usual black coffee. It all depends on your mood and, of course, the coffee pods that you have. If you prefer to go with this one, it is wise to know the right pod to use as some coffee pods are only compatible with specific pod coffee makers. Better yet, make sure that your choice of a single cup coffee maker has various options and pod flavorings too. This way, you do not get stuck with one that has a limited range. Last but certainly not the least is the automatic coffee maker variety. They have so many unique features, such as the ability to grind beans and make coffee that is comparable to the ones your barista make or even better. It is a league of its own. The price tag can be quite hefty, but for its features, it is justifiable. 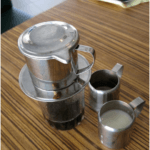 You will be surprised on the availability of this type of drip coffee maker. If you are interested in buying one, then make sure that you go through all the features and ask for a demonstration if possible. Today’s brands offer drip coffee makers that can make a single cup of coffee to making 5 and 12 cups of coffee with a single brew. This way, you will be able to maximize the use of this coffee maker. 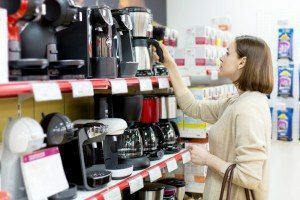 Now that we know the most common types of coffee makers available for your taking, it is time to answer the question on what should you look for in a coffee maker. Whether you will be using the basic or the automatic ones, there are some qualities that you should keep an eye out for. Look for a machine that does not take too much space in your kitchen. It should be able to do the job even if it is lean and small. Avoid bulky and heavy machines because it will just be a nuisance in the long run. 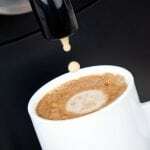 Coffee makers are machines that also need cleaning from time to time. If cleaning is not your forte, then look for coffee makers that promise easy cleaning. A good wipe here and there should suffice. Don’t make life more complicated than it already is; avoid those with complicated cleaning instructions. Another important thing is to find a machine that is not complicated to operate. If possible, look for the best single serve coffee brewer that has easy one-touch button features. It is not worth dealing with complicated coffee machines, especially during mornings where you have to rush to work. 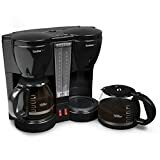 With the number of coffee pods coffee makers on the market today, it can get overwhelming when you are looking for one. 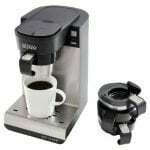 Do your research, read our coffee maker reviews so you can get the best deal of your life. Remember, coffee machines do not need to be expensive. If they can do the job right, then it is worth considering. In the end, it is all up to you and your preferences. You have so many options available for the best single serve coffee maker. Choose the right one and enjoy a good cup of coffee every single time.